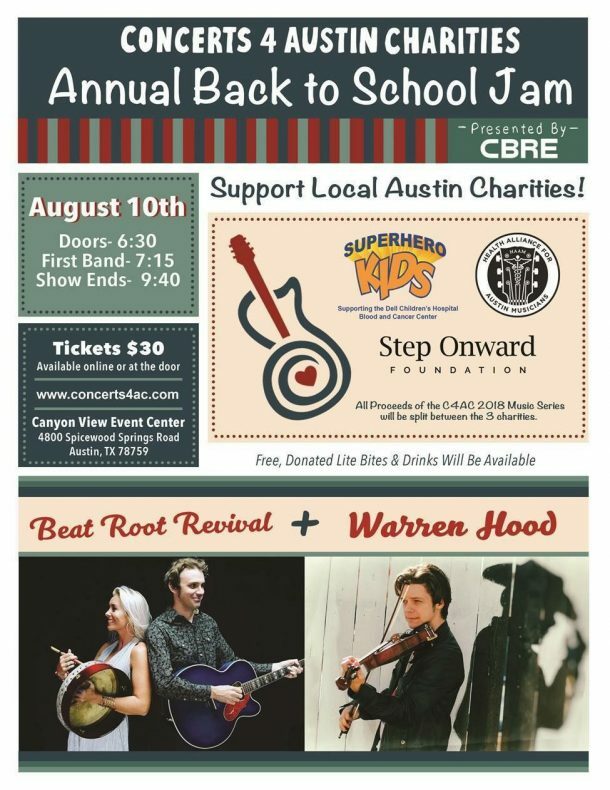 Warren Hood will be playing a show for a great cause on August 10th at the Canyon View Event Center. Proceeds from this event will go towards Superhero Kids (supporting Dell Children’s Blood & Cancer Center), HAAM, and the Step Onward Foundation. For tickets visit https://www.concerts4ac.com/events/.